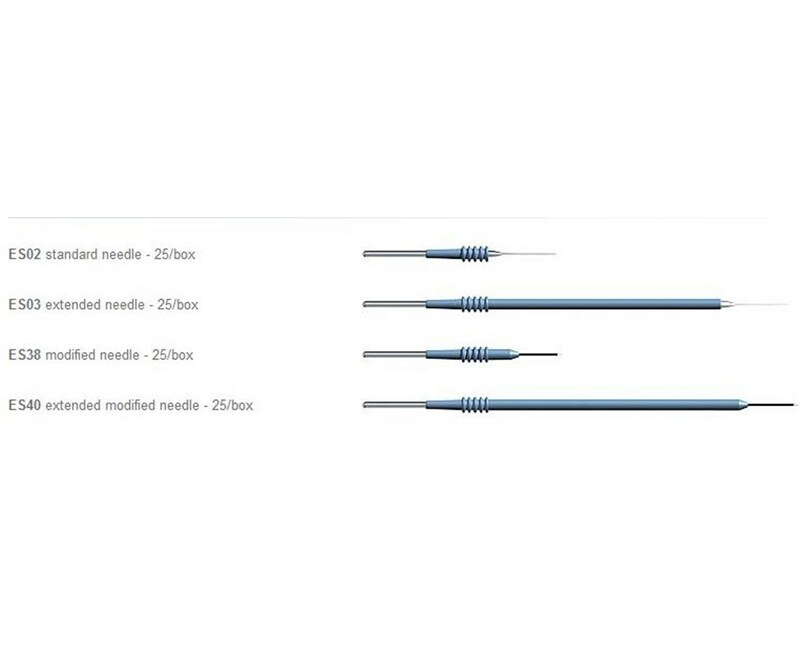 Bovie ES40 Extended Modified Needle Electrode - 6"
Overview for Bovie ES40 Extended Modified Needle Electrode - 6"
The ES40 Extended Modified Needle is 6" and can be used with any Bovie Electrosurgical Generator or Desiccator. This electrode utilizes the standard 3/32" (2.3mm) stainless steel shaft. Safety grip insulators combine patient and user safety with easy insertion into and removal from the surgical pencil. The ES40 electrode is manafactured to the highest standard. They come in 1 ea or 25 per box with each needle sterile and individually wrapped. 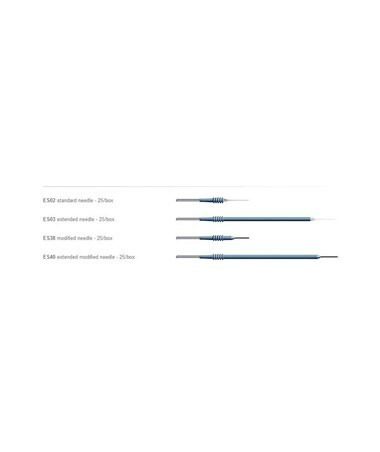 Features for Bovie ES40 Extended Modified Needle Electrode - 6"
Specifications for Bovie ES40 Extended Modified Needle Electrode - 6"
Return Policy for Bovie ES40 Extended Modified Needle Electrode - 6"